A cataract is when the natural lens inside the eye becomes cloudy, discolored, or opaque. Common symptoms include blurry or fuzzy vision, increased glare, difficulty driving at night, and seeing halos around lights. Since cataracts often progress slowly, many adults do not recognize the negative impact on their vision until it begins to adversely affect their activities of daily living, especially driving and reading. 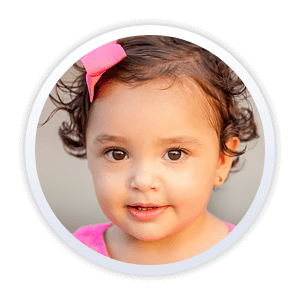 Cataracts are the leading cause of preventable blindness in the world, but with the wide array of treatment options available today, most patients are able to experience restored visual function. After cataract surgery, many patients notice the world appears brighter, images seem to be in “HD (high definition),” colors look more vivid, and whites are whiter than before. Nuclear cataract: When the central portion of the lens, or nucleus, becomes cloudy or yellow. Typically progresses slowly and affects older adults. Cortical cataract: Opacities resemble the spokes of a wheel, extending from the periphery of the lens to the center. May be located in the posterior or anterior portion of the lens and are most often age-related. Posterior subcapsular cataract: An opacity develops in the posterior aspect of the lens, just inside the lens capsule (membrane or sac that holds the lens in place). This type is often seen in diabetic patients or individuals with history of steroid medication use. Anterior subcapsular cataract: Cells migrate to the front of the lens and become cloudy, obscuring vision. This type may be caused by systemic or ocular inflammatory disease. Traumatic cataract: If lens fibers are damaged by blunt or penetrating trauma to the eye, the lens can become cloudy. Traumatic cataracts often form in a stellate or rosette pattern. Cataracts in adults may be related to the aging process, systemic diseases, trauma, medications, cigarette smoking, poor nutrition, and/or sunlight exposure. In the early stages of cataracts, simply changing your glasses prescription may restore your vision to an acceptable level. But as the cataract becomes more and more cloudy, a new glasses prescription will not be helpful and surgery becomes beneficial. The recommendation for cataract surgery is based on how much the cloudy lens impairs vision and the impact it has on your lifestyle. Once you have been diagnosed with visually significant cataracts and have decided to proceed with surgery, Dr. Shin will help you understand the procedure and how it will benefit you. She will prepare you for the procedure and the post-operative recovery period. Our surgery counselor will discuss your pre-operative instructions and will send prescriptions for eye drops electronically to your pharmacy of choice. 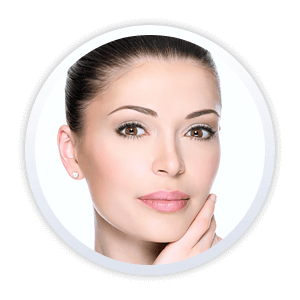 Dr. Shin uses an amazing array of high-tech equipment, highly refined surgical skills and techniques. Instead of utilizing general anesthesia or a shot behind the eye to numb it, most cataract surgeries today require only topical anesthesia. After you receive medication to help you relax, numbing drops are instilled on the eye prior to the start of surgery, which eliminates both the risks and discomfort of a shot behind the eye. Another advantage of using numbing drops instead of an injection is that you will not have loss of eye movement for hours. During cataract surgery, you will receive sedatives but even if you feel fine afterward, you cannot drive home; therefore, make sure to arrange for a ride. You may experience a mild scratchy sensation, but you can use eye drops as directed to help. 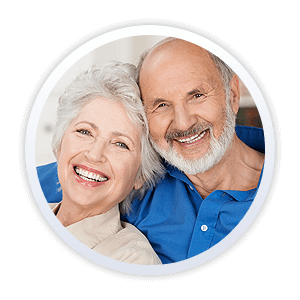 Today’s cataract surgery is a short outpatient procedure that allows you to return to normal activity level within a few days. Cataract removal techniques have undergone major improvements through the years. A cataract used to be removed through a long incision that required many sutures for closure. With today’s modern technology, cataract surgery is performed through a tiny corneal incision using handheld surgical instruments. Ultrasound breaks up the cataract into many tiny pieces which Dr. Shin removes prior to implanting an artificial intraocular lens to restore your vision. Thereafter, your corneal incision seals itself. softens and segments the cataractous lens into small grid-like fragments to facilitate removal. 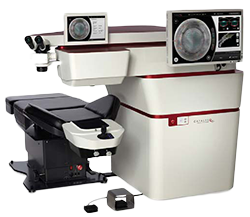 The femtosecond laser represents the most advanced technology available for life-enhancing cataract surgery. The ORA SYSTEM® with VerifEye®+ technology is a sophisticated device that provides real-time guidance during your cataract surgery, enhancing the surgical outcome and reducing potential post-operative complications. The ORA SYSTEM® obtains 40 nearly instantaneous calculations to measure the refractive power of the eye once your cataract has been removed. This information is used to determine proper intraocular lens power and placement and precisely manage astigmatism. ORA’s real-time guidance is imperative for customizing cataract surgery for previous refractive surgery patients. In order to see clearly at all distances (from close to far away), your eye must be able to change its focus. The natural lens is responsible for the change in focus; it changes shape to make images clear at different distances. Sometime after age 40, most individuals lose the ability to see up close without the aid of bifocals or reading glasses (nearsighted individuals would not be able to read up close if they are looking through their distance correction) because the lens hardens and loses its ability to change shape. During modern cataract surgery, the cloudy lens of the eye is removed and replaced with a clear lens implant. In the old days, there were no lens implants and patients had to wear thick glasses after surgery. Now lenses are inserted directly into the eye. Selecting the right implant for you is very important. The ophthalmic technicians at Ideal EyeCare will take special measurements of your eyes (front to back length and front curvature). The results are then analyzed by a sophisticated computer program. Dr. Shin uses these results to determine the kinds of intraocular lenses for which you are a candidate. 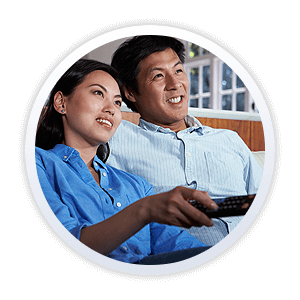 Dr. Shin will then discuss your intraocular lens (IOL) options and which one best suits your lifestyle and vision requirements. 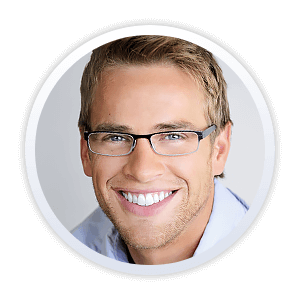 Historically, intraocular lenses chosen for implantation would enable you to see as well as possible at distance without correction (even better with glasses if you have astigmatism) but would require you to wear reading glasses for near viewing. Premium intraocular lenses offer enhanced uncorrected vision. Dr. Shin can also select a lens implant for your dominant eye to see clearly at distance and a lens implant for your nondominant eye to see well at near. This is called monovision. Toric intraocular lenses intrinsically contain power to help neutralize regular astigmatism. Nonaccommodating Toric IOLs can correct corneal astigmatism of up to +4.5D for the Alcon Acrysof IQ Toric IOL, up to +3.62D for the Abbott Medical Optics Tecnis Toric IOL, and up to +2.4D for the Staar Toric IOL to free a patient with astigmatism from distance glasses. Multifocal and accommodative lens implants, which enable you to see clearly at a variety of distances, have also been developed. There are multifocal lenses which are optimized for patients who favor near-vision activities (such as reading or knitting), for patients who prefer activities at longer reading distances (multimedia work), and for patients intermediate-vision activities (golfing or grocery shopping). 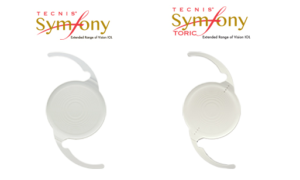 FDA approved in 2015, the Symfony® multifocal intraocular lenses, with and without astigmatism correction, enhance contrast and offer depth-of-focus which is most appreciated by patients for whom intermediate-range vision, for example for computer work, is a priority. Months or years following cataract surgery, cloudiness of the back lining of the lens capsule (posterior capsule opacification) may develop. If the cloudiness becomes dense enough to cause significant vision loss or glare, it can be treated painlessly and quickly with a YAG laser in an outpatient setting. Through a dilated pupil, the YAG laser removes the central portion of a hazy posterior capsule. There is no downtime and prescription eye drops are instilled for one week following the procedure.